PyeongChang, South Korea – Lindsey Vonn finished second behind Italy’s Sofia Goggia, finally winning her first World Cup race of the season at Saturday’s Audi FIS Ski World Cup downhill, a test event for the 2018 Olympic Winter Games. World Cup downhill leader Ilka Stuhec of Slovenia finished third. 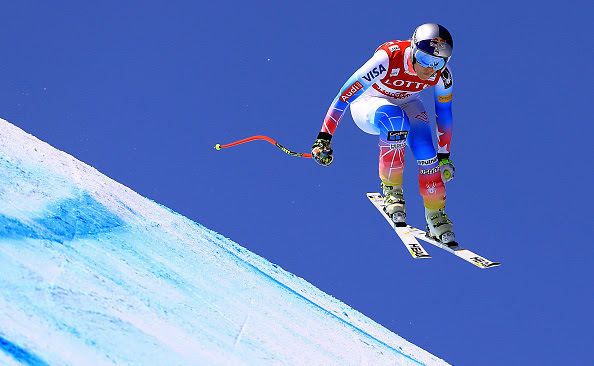 Racing under brilliant blue skies and temperatures climbing into the 50s, Vonn chose bib No. 1, hoping to get down the track before the sun baked it. Vonn laid down a solid run as Stuhec, who started bib 3, couldn’t match her time. However, Goggia, who narrowly missed the downhill podium two weeks ago at the FIS Alpine World Ski Championships in St. Moritz, Switzerland, absolutely nailed the bottom of the course, erasing a 0.22-second deficit to Vonn at the fifth split to take the victory by 0.07. Vonn led four American women into the top 11. Laurenne Ross (Bend, OR) was fourth. Stacey Cook (Mammoth Lakes, CA) sixth and Jackie Wiles (Aurora, OR) was 11th. Stuhec had the opportunity to seal the World Cup downhill crystal globe with a top-two finish in South Korea. 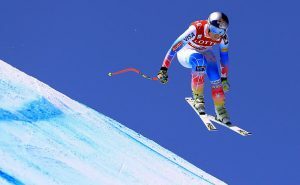 However, she leads Goggia, who moved into second overall, by 97 points with one downhill remaining at the World Cup Finals in Aspen, Colo. Mikaela Shiffrin, who didn’t race Saturday but did train earlier in the week on the Jeongseon course, still leads the overall World Cup standings with 1,323 points. Stuhec is second with 1,085 points with Sunday’s super G and next week’s giant slalom and slalom at Squaw Valley, California as the final World Cup events of the season before the Finals in Aspen March 13-19.